Nimbus goes on creating sophisticated wireless lighting solution, lamps that are not connected with wires to ensure freedom of use and many different possibilities of installation. After the launch of Roxanne Fly and Roxanne Leggera CL, the range of Nimbus mobile lamps expands with Winglet CL and Gravity CL. Born from a project by Rupert Kopp, they are inspired by the ultra-thin structure of smartphones and PC tablet. 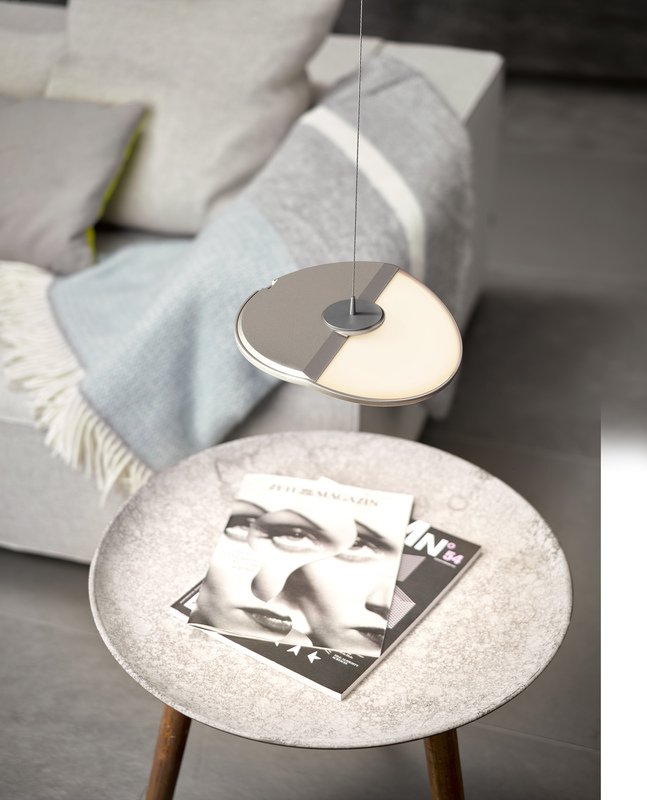 Winglet CL is particularly ideal in the living areas, while Gravity CL can be placed as pendant in the ceiling to create a personal lighting solution for example for a dining table or a desk. Both are secured with a magnetic mount to the wall or ceiling and can be managed from anywhere in the room through a wireless control system.